In general, I’m not a fan of designer label-meets mass market collaborations. The idea of diluting a brand in order sell large volumes goes counter to the spirit of our manifesto. It may be appealing, from a business perspective, for the name to be known by a wider audience, but when the dilution causes a drastic dive in the quality level of the clothing, the long term effects are negative. Apparently, companies don’t expect fast fashion consumers to care about durability or tailoring. Unfortunately, that may be true about much of the fashionista hoard. For a growing number of us, however, we just don’t believe the hype… at least not until we’ve seen, touched, felt it for ourselves. 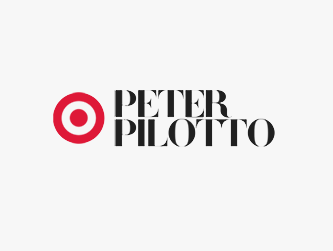 The commercials for the Peter Pilotto for Target collection certainly do inspire one to seek out a sensual experience with the brand. The models make the garments look fun, stylish, and easy to wear. So when February 9th came about I headed to my local target to for a first person experience. Now, I don’t expect that I can turn a hem with the likes of Jourdan Dunn, but the mark of good clothes is that they fall beautifully on even the “average” body. And, for the most part, they did not do my average body well. a 100% polyester dress ($39.99) that looked bad on the hanger, bad on my body, and felt like dragging fingernails across a chalkboard. Blegh. It should be noted that I was shopping at a Target store in Santa Cruz, CA – a smallish college town where the demand for Pilotto is small. Accordingly, their selection was also small, which may have precluded some of the collections best pieces. It’s also true that it’s hard to make well-fitting clothes when you are limited to S, M, L sizing. If the clothing warranted it, the fit issues could be resolved by a good tailor. However, I’m reluctant to spend resources altering a piece of polyester that’s not built to last. If this is to be my only encounter with the Peter Pilotto brand, as it will be for the majority of the population, it’s not a very good representation. The magic of artistry and quality craftsmanship, as seen on the SS14 designer runway show below, is all but lost in this mass-market effort. It makes me wonder if the designer line, too, would be a disappointment. So when ones budget does upgrade enough to allow for the purchase of a $2Kish dress, will she want the “real deal” or will she have by that time discarded her admiration for the brand along with the poorly-made clothes? So the final verdict is that, no, the Peter Pilotto for Target clothes are not worth the cost. You are paying for hype and for status, as it were. This notion is demonstrated by the fact that a dress that’s available on the Target website for $29.99 sells for $39.99 at net-a-porter.com. The value of the dress is not instrinsic, and the shadow of my doubt is now cast over Net-a-Porter as well. To be fair, it’s not impossible for these collaborations to produce a few palatable items. I have a cotton cardigan from the Thakoon for Target range that I still enjoy regularly. The problem is that in order to get a few gems, a glut of crap is churned out in a supply chain that is rife with waste at every stage. Then a large amount of it ends up in landfills within a few years. It’s madness!